If you’re a graphic designer working on many tasks concurrently, you understand the significance of the entire bunch of design components at hands. Hunting for those components one at a time, you may spend whole lot more cash and time . To obtain all of the desired components in one pack, we highly recommend experimenting with graphic bundle deals. A bundle is actually a selection of digital elements needed for graphic design, priced at a large amount of money, however sold at a discounted price tag for a short time. The selections of elements accumulated into a graphics bundle deal are typically sorted according to their type or purpose. There may be deals with mockups, wedding invitation templates and infographics, etc. You will likely find graphic bundles designed for Halloween, Christmas or St. Valentine’s Day. For any single design project, you will need a bunch of components – some icons, a number of pictures, a font, etc .. In case you’d wish to buy every one of them on an individual basis it will cost you lots of money! So, for this reason seasoned designers always look for graphic bundles to buy. Any approaches to make bundles even more affordable? Ok, I am aware they are already affordable, but there is still place for saving. Share this page via social media – you get the 5% price reduction for every of the graphic bundles you like. That’s a very easy way of getting a professionally created tools for a lower price. MasterBundles.com could offer you a big selection of different products. MasterBundles.com offers not only graphics bundles but additionally approximately 20 other various kinds of products and solutions. Fonts, WordPress themes, mockups, icons, photos, illustrations, presentation templates and a lot more – on the MasterBundles.com it’s possible to obtain all of the graphic elements, vital for a design. 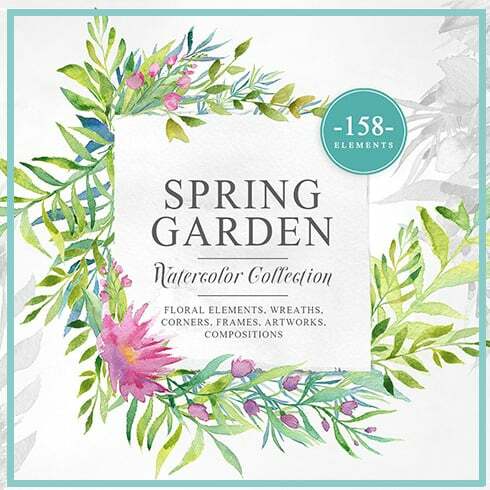 The watercolor package deal is found to be the lovliest novelty in creative desgin. Hand crafted by artists on the a piece of paper, the pictures become digitized and added in a package deal as templates for projects. 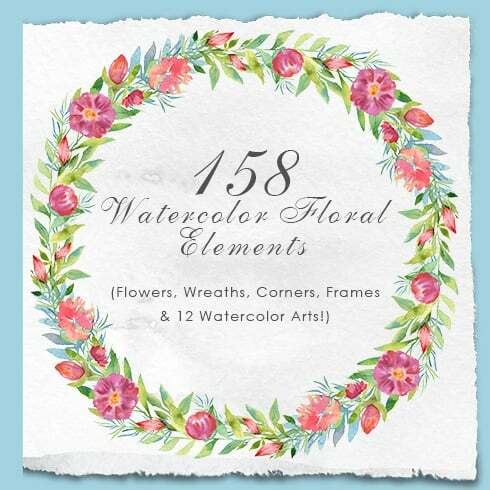 Watercolor elements are just great for DIY, wedding invitations, greeting cards, quotes, blogs and posters. All pictures are extremely detailed and prepared for print or use digitally. MasterBundles.com is a marketplace that accumulates best offers from the internet and allows you to buy the elements you’ll need in your business for for less money. Packages this website markets are limited in time, and that is the answer why they are so low-priced. To avoid missing out on the deal you’ll be excited about – sign up for the email message, revealing the newest offers. MasterBundles also has a great blog with the unique design features detailed. Should you be hunting for a website full of great offers – MasterBundles.com is there for you!